Which Ads Won the Super Bowl on YouTube? Charlotte Morton, head of YouTube UK B2B marketing, on the commercials which scored a touchdown with Super Bowl audiences online. It’s tricky to pinpoint exactly when the Super Bowl became a fixture in our calendars on this side of the Atlantic, but every year we see more and more people in the UK stoically staying up until the early hours of Monday morning to catch the big game. But the thrill of watching two opposing factions of muscle-bound athletes repeatedly crash into each other is only ever half the spectacle of the Super Bowl. Off the field, audiences keenly wait to witness a different kind of creative combat - the adverts. "YouTube's AdBlitz allowed viewers to vote on their favourite spots of the game." The attraction of watching brands battle it out with blockbuster ads is symbiotically attached to the Super Bowl experience - and has grown in popularity in the UK. This is reflected on YouTube, with non-US viewership for Super Bowl ads growing by over 28 times since 2008 - meaning that these high-profile adverts are being actively sought out out by highly engaged audiences across the globe. YouTube and other platforms have helped spread Super Bowl fever internationally, whilst also providing a useful barometer for measuring the success of Super Bowl ads. The top 20 most viewed Super Bowl ads from the last ten years have accumulated over 440 million minutes of watch time - the equivalent of watching the big game more than 1.8 million times. 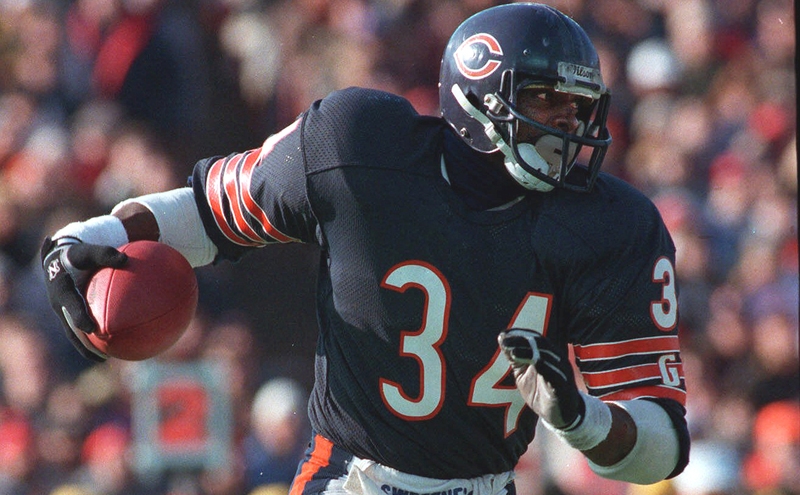 Walter Payton, legendary running-back for the Chicago Bears, noted that “when you’re good at something you’ll tell everyone - but when you’re great at something, they’ll tell you”. This is as true with advertising as it is with sporting ability - and the best way to see the difference between the good and the great is to see what audiences are choosing to watch. As always, YouTube AdBlitz allowed viewers to have their say letting users view and engage with ads through a “cheers” function, and allowing them to vote on their favourite spots from the game. Armed with YouTube data and Payton’s insightful attitude, I’ve taken a look at what adverts from Super Bowl LII resonated most with the YouTube audience. American comedian and actress Tiffany Haddish joined forces with Groupon for its “Who wouldn’t?” campaign, in which Tiffany poses the question - what kind of person wouldn’t want to support local business? Featuring an expertly dispatched pig-skin of justice and an iconic closing cackle from Ms. Haddish, the third placed ad has racked up over 20 million views on YouTube since its release. Bud Light has a long running history with Super Bowl advertising, setting a high bar of audience expectation for its usual blend of comedy and creativity. Confidently trotting into the scene of a brutal medieval battle, the towering ‘Bud Knight’, sparkling in sapphire armour, solemnly notes it is “time to do, what must be done” - which is riding straight past the battle to go and grab a small crate of beer. What do Gordon Ramsay, Anthony Hopkins and hip-hop sensation Cardi B all have in common? Turns out they are all very poorly suited to step in as replacement voice assistants. Racking up over 41 million views in less than a week, Amazon’s Alexa Loses Her Voice came in as YouTube viewers' favourite Super Bowl spot. So while the Lombardi Trophy makes its long awaited return to Philadelphia, the trophy for the most ‘cheered’ Super Bowl heads to the UK as London based ad agency Lucky Generals, making their Super Bowl debut, take the gold for their Amazon spot. "Great use of comedy is clearly the uniting theme in these winning spots." The Amazon and Groupon spots illustrated the power of using recognisable actors and celebrities (and CEOs), while Bud Light tapped into the popularity of TV shows like Game of Thrones to provide a strong comedic backdrop to the punchline of its ad. Great use of comedy is clearly the uniting theme in these winning spots as brands deemed humour the safest path to success. Comedy is accessible and inclusive. Considering YouTube brings global audiences to adverts that are primarily targeting the US, it makes sense to choose to use the universal language of humour to relate to a diverse viewership. These Super Bowl success stories illuminate an aspect of advertising that can easily be forgotten - that the best adverts are often those that are indistinguishable from the entertainment. It’s more fun for everyone when you can cheer for your team, and keep on cheering during the breaks.